when they stay with us at Top Dog! Our staff is knowledgeable and caring. 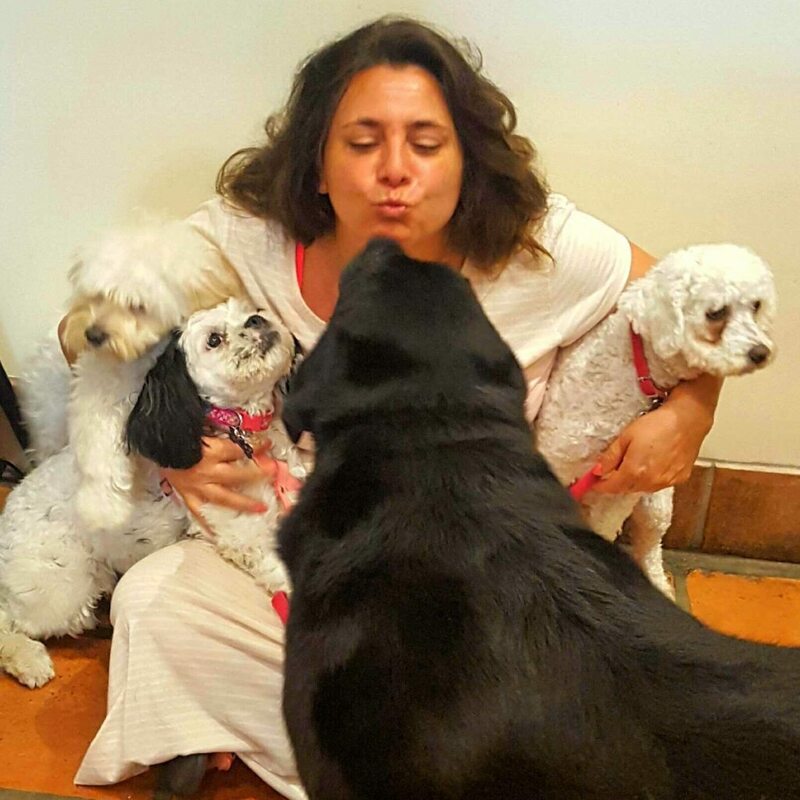 We pamper your pooch and play with them in our doggie daycare room. Nap Time is in the afternoon so everyone gets a break to relax. Then playtime resumes until you pick up your tired and happy puppy. No one loves your furbaby more than you… but we come pretty close! Your precious pups are treated like family here at Top Dog. We spoil each pup with our famous dog bakery treats and they are loved the whole time they are with our staff. TOP DOG’s Doggie Daycare is a fun open “romp” room, where play is supervised for all breeds and sizes. Your pup will be spoiled with treats, toys and interaction with staff while they stay with us. 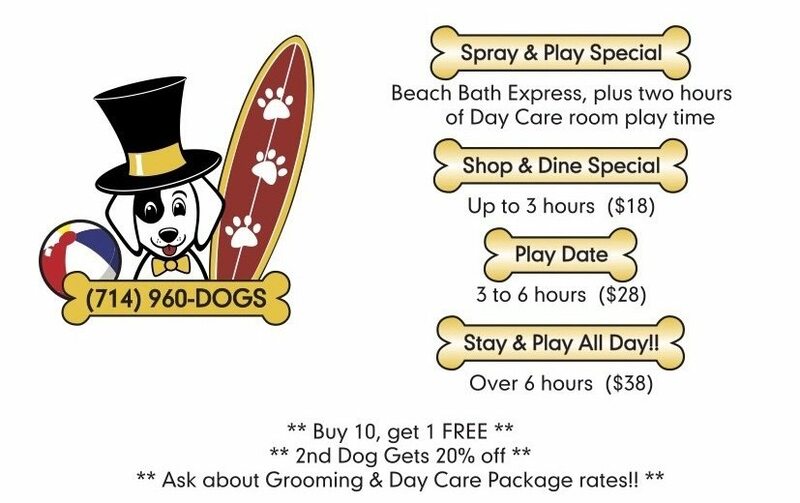 We offer SHORT TERM doggie daycare, so you can save money and enjoy our up to 3 hour “Shop and Dine” special day care rate, for those days when you don’t need to leave your dog all day long. Our doggie daycare is all day, while the shop is open and “in and out hours” for your pup’s play are flexible! Learn more about our doggie daycare on our FAQs page! Anything over 6 hours $38 for a full day of fun! If your puppy or older dog needs a break, we will be sure to give them time alone to take a nap in our “crib” or chill out with us, so there are no issues with over tiring or over exerting your baby’s day of fun. We know you have a choice in day cares and our climate controlled room, plus personal attention means your pup is getting the love and interaction they need without getting dirty or over stimulated with 50 other dogs. If you do want to bring your baby home all fresh and cleaned, let us know and we will time it so we can give your pup a bath in our “spa” before you pick them up! CONTACT US TO LEARN MORE ABOUT DAYCARE OPTIONS!